1. Preheat oven 175 C. Grease a 23cm fluted tart tin. 2. Combine the pistachios, biscuit crumbs, sugar and lime zest in a processor. Blend in the butter until the mixture is moistened. 3. Press the crust into the tart tin. Bake for 10 minutes. 4. Transfer to a wire rack and cool. 5. Beat the yolks, condensed milk and 120ml lime juice until well combined. 6. Pour into the cooled crust and even the surface with a spatula. Bake for 15 minutes. Transfer to a wire rack. 7. 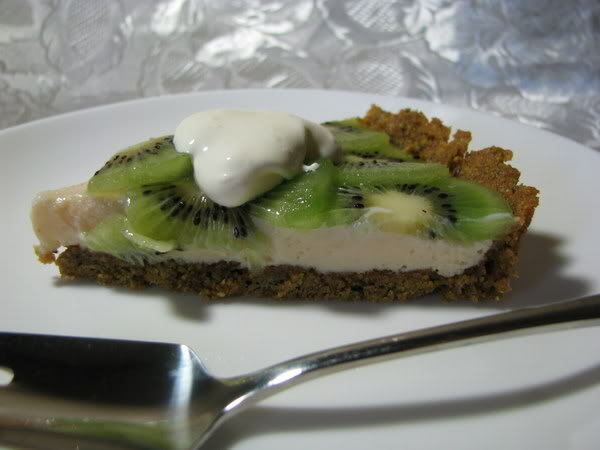 Arrange the kiwi slices on top of the filling – slightly overlapping in concentric circles. 8. Mix the Tablespoon of lime juice, water, sugar and cornflour in a medium saucepan. 9. Over medium heat bring the glaze to the boil, stirring constantly until it thickens. 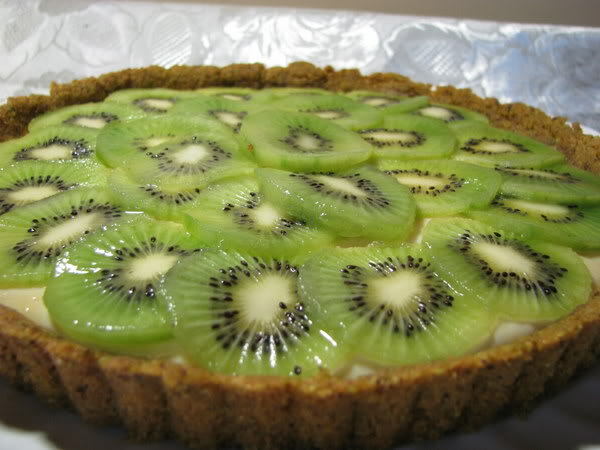 Remove from the heat and using a pastry brush, cover the kiwis with the glaze. Refrigerate until ready to serve, for at least 1 hour. 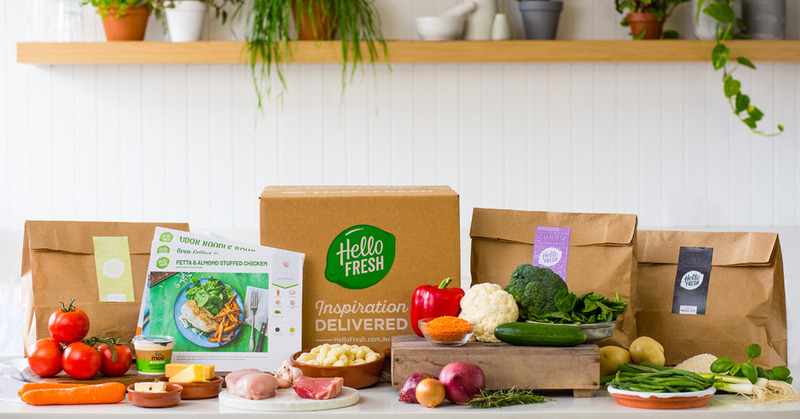 Prepare the basic recipe, replacing the sliced kiwis with 455g sliced strawberries. Proceed with glazing. 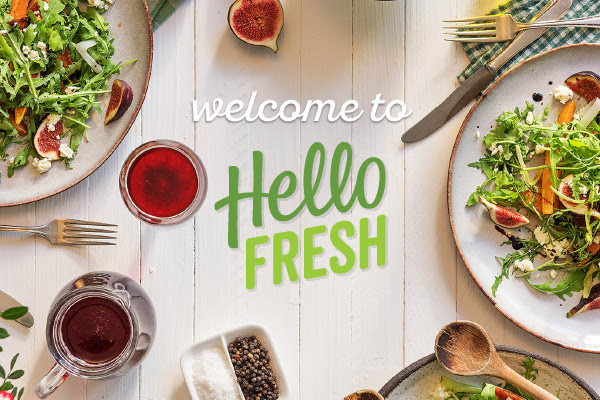 Prepare basic recipe replacing the kiwis with 500g fresh raspberries, proceed with glazing. Prepare basic recipe, arranging a handful of fresh blueberries over the kiwi slices, proceed with glazing. 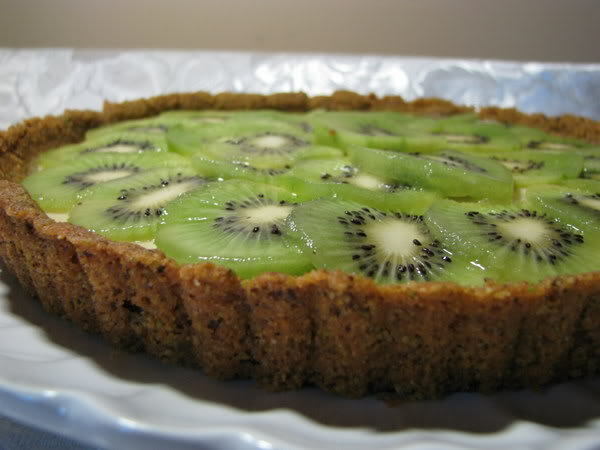 Prepare basic recipe, replacing the kiwi slices with 340g sliced mango. Proceed with glazing.